As indie music enjoyed its resurgence in the mid 2000s, UK south coast three-piece, Keane, offered a thoughtful counterpoint to guitar squall. Their debut album, Hopes And Fears, featured well-written songs, with delicate melodies. The public thought so too, as the album was certified Platinum an amazing nine times. They subsequently stormed the charts and released a series of intelligent and diverse albums. Keane use a piano (or a synth) as the lead instrument rather than a guitar, which is traditional, especially as a three piece band. Since the start of their career, the band have sold over 10 million albums worldwide. Principal writer Tim Rice-Oxley's material, sweetly delivered by Tom Chaplin, sounded perfect on radio, from the wistful 'Somewhere Only We Know' and 'Everybody's Changing' through to the assured Bowie-influenced 'Spiralling'. Echoes of Elton John, the Beatles, U2 and Genesis (who, like Keane, met at public school) can be heard in their work, and like those artists, the group have gone on to enjoy considerable success in America. Keane add great sweetness to their pop, and their piano-based music sounds immediately anthemic. But they weren't simply a studio outfit; Keane became an enormous live draw on both sides of the Atlantic, (fortunately captured on a variety of fine works, such as Live Recordings: European Tour 2008 and the 2010 material recorded at the iTunes Festival) with the intensity and passion of this group of friends projecting beautifully from the largest of arenas. Keane's piano-driven pop/rock is created by vocalist Tom Chaplin, drummer Richard Hughes and pianist Tim Rice-Oxley, three childhood friends from the small town of Battle in East Sussex, England. Formed in 1997, the group started out as a college-aged cover band. Guitarist Dominic Scott was also part of this early incarnation, having previously played cover songs with Hughes and Rice-Oxley in a band named the Lotus Eaters. Keane toured the East Sussex circuit for several years while internalising the epic sounds of their set list, which included songs by Oasis, U2 and the Beatles. The quartet began performing original material in 1998, although Chaplin left for Edinburgh University shortly thereafter to study art history. The move proved to be brief, as he returned to London in 1999 and doubled his efforts with Keane. Buoyed by Chaplin's tenor vocals and Rice-Oxley's inventive keyboard effects, the group made its studio debut in 2000 with a self-released single, 'Call Me What You Like'. 'Wolf at the Door' followed one year later, but the band still struggled to find its momentum as Scott left the line-up in July, leaving the band without a guitarist. Keane continued performing as a trio and happened upon their big break in December 2002, when Fierce Panda Records representative Simon Williams (who had helped discover Coldplay several years prior) was summoned by a friend to attend a Keane gig in London. Williams was impressed with the band's performance and offered to issue Keane's next single, 'Everybody's Changing', on the spot. The limited-edition release became a success on UK radio and attracted attention from major record labels, several of whom began to swarm around the group. Keane signed with Island Records in 2003 and released 'This Is the Last Time', the band's final single for the Fierce Panda label, before the year was up. They made their major-label debut one year later with Hopes and Fears, which hit the top of the UK album charts during its first week of release and beat out Morrissey's You Are the Quarry. The ballad 'Somewhere Only We Know' became a hit on both sides of the Atlantic, and Keane received two BRITs (for Best Breakthrough Act and Best Album 2005) while earning a Grammy nomination for Best New Artist. The album went on to become the second highest-selling record of the year in the UK, barely losing out to the Scissor Sisters' debut. Keane opened several shows during U2's 2005 tour in support of their debut, which was followed several months later by the Live Recordings 2004 EP. When it came time to return to the recording studio, the band once again enlisted producer Andy Green and fashioned a darker album titled Under the Iron Sea. Arriving in 2006, it debuted at No. 4 on the Billboard Top 200, topped the UK charts and spun off the band's most successful single to date with 'Is It Any Wonder?' Keane chose to pursue a different agenda for their next project, however, returning in 2008 with a slightly retooled sound – including the presence of electric guitar – and a new album, Perfect Symmetry. Two years later, they changed direction yet again with the release of Night Train, an eight-song EP featuring collaborations with the Somali rapper K'NAAN. Released in 2012, Strangeland, the full-length follow-up to Perfect Symmetry, married that album's use of guitars and über-pop sensibility with the anthemic, piano-led sound prevalent on the band's first two albums, particularly Under the Iron Sea. The English music press can never let anyone be. They're always quick to hail the next big thing, and in this case, the next big Coldplay is Keane. (Lowgold briefly held that title upon its debut release in 2001, but U.K. critics rushed to give that crown to someone else.) Keane haven't positioned themselves to be kings of anything, though, let alone the next Coldplay. Sure, Coldplay's biggest hit to date, "Clocks," included only pianos, and they released the Safety EP on Fierce Panda, which is also Keane's label, but those are the only things Keane have in common with Coldplay. Alongside their beautiful, emotive dalliance of instrumentation is one thing that'll separate Keane from all the rest, and that's drive. The band's open-hearted ambition on Hopes and Fears is audible on every song. Lead vocalist Tom Chaplin's rich vocals are as vibrant as any choir, and track such as "This Is the Last Time," "Bend and Break," and "Can't Stop Now" reflect Keane's more savory, dramatic moments. Confidence bursts throughout, and for a band that has been around seven years and has never released a studio full-length album until now, achieving nearly epic-like status is quite impressive. 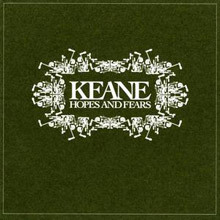 Keane obviously have the songs and they have a strong voice leading the front; however, Tim Rice-Oxley (piano/keyboards/bass) and Richard Hughes (drums) allow Hopes and Fears to come alive with glamour and without the sheen of slick studio production. Even slow build-up tracks like "Bedshaped" and "We Might as Well Be Strangers" are just as passionate, if not more so, than some of the bigger numbers on the album. Some might find Keane's debut a bit stagy, or too theatrical at first, but that's okay. Listening to "Somewhere Only We Know" alone a few times is more than enough to convince you that Keane stand next to Coldplay -- challenging them rather than emulating -- and it's a respectable match at that. Keane bids adieu to balladry and ushers in a different style -- '80s pop -- with Perfect Symmetry. While the album isn't solely devoted to exploring that new genre, it's certainly the focus, and "Spiralling" appropriately kickstarts the set with whooping vocals and retro synthesizers. "When we fall in love," sings Tom Chaplin in his stadium-sized voice, "we're just falling in love with ourselves." Coming from the same mouth that once crooned the earnest strains of "Somewhere Only We Know," those lyrics are wholly different -- a sign that four years spent in the shadow of U2, Coldplay, and other like-minded bands have convinced Keane to make their own Achtung Baby. Of course, that album saw U2 turning sonic experimentation into something entirely inventive, which Perfect Symmetry doesn't quite accomplish with its own mixture. This isn't quite art, after all; it's mostly just fun, shot through with a self-consciously cheesy approach that's engineered to sound little like the department-store rock of 2004's Hopes and Fears. "Fun" seems to be at the top of the band's agenda, though, and Perfect Symmetry succeeds in doing away with most of the pre-conceived notions that accompany Keane records. The "old" sound doesn't even surface until midway through the album, when the album's title track offers up a combination of sparse piano notes (later giving way to dense, double-fisted arpeggios) and a meteoric chorus. But that's the exception, not the rule, and Perfect Symmetry sounds more comfortable during its truly unexpected moments: the spacy blips and bleeps of "You Haven't Told Me Anything," the synthesized anthem "Again and Again," and the energetic "Wooooooh!" that opens the entire album. 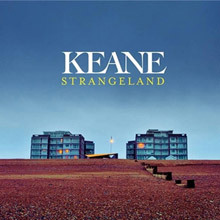 The band's biggest strength remains Chaplin's ability to turn a melodic phrase with grace and dexterity, which fails to lose its vitality no matter the musical context, but Keane's willingness to take these left-hand turns deserves its own share of applause. 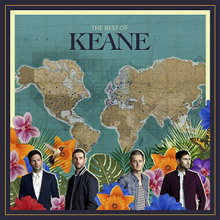 You’ve gotta give it to Keane -- the guys aren’t afraid to reinvent themselves, even if it means decreased record sales. After being typecast as ballad-loving, tender-hearted crooners with their 2004 debut, they spent the following four years dismantling the myth that they were the next Coldplay. Released in 2006, Under the Iron Sea found them skewering Tony Blair’s politics and disguising Tim Rice-Oxley’s keyboard with guitar pedals, while 2008’s Perfect Symmetry highlighted their goofy side, not to mention a love for cheesy ‘80s pop. Night Train takes most of its cues from that last album, but it also ventures into newer territory, featuring an ambient instrumental opening track as well as contributions from two R&amp;B musicians (Somali hip-hop artist K’Naan and Japanese singer Tigarah). K’Naan’s presence isn’t limited to a mere cameo; he appears on two songs and actively steers both, turning “Looking Back” into a pop/funk/soft rock hybrid and bringing a sense Timberlake-ish digital pop to “Stop for a Minute.” When left to their own devices, Keane continue exploring the sounds that Perfect Symmetry introduced, often paying as much attention to the songs’ production as the actual tunes themselves. 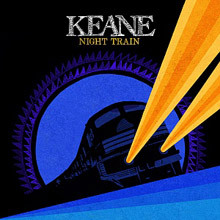 It’s all very eclectic and a bit unexpected -- two qualities that seem to be Keane’s modus operandi as of late -- but what’s missing is a pop anthem along the lines of “Again and Again” or “Bend and Break,” both of which allowed Tom Chaplin to flex his vocal chops on past albums. 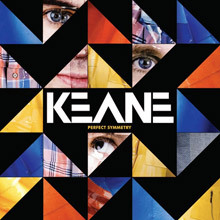 Keane's fourth outing trades in the officious electro-pop flourishes that peppered 2008's Perfect Symmetry for a more familiar approach. Closer in tone to 2006's Under the Iron Sea, some may find Strangeland's reliable mix of Coldplay, Snow Patrol, and "Sit Down"-era James to be a bit rote, but when it comes to crafting relatively safe, achingly melodic, and terminally sincere adult alternative rock songs, there are few groups as prodigious as the East Sussex quartet. Bolstered by a pair of stadium-ready singles in "Disconnected" and "Silence by the Night," both of which occur (in classic LP fashion) early on, Strangeland works best when it sticks to the formula, providing a hook, a line, and a sinker before landing the listener with the kind of colossal chorus that results in the frantic rolling up or down of car windows. More contemplative moments, like the lilting "Black Rain," the lovely "Neon River," and the appropriately epic closer "Sea Fog" work just as well, dialing back the cymbal swells in favor of a more measured level of melodrama. Strangeland never really lives up to its mysterious title, as there's nothing on it that doesn’t feel willfully nostalgic, but like any good plate of comfort food (for those with larger appetites, there's a 16-track extended version, and a 24-track CD/DVD combo) it satisfies in a way that more adventurous meals never truly can. Keane embody songwriting in its truest sense. Every one of their offerings tells a story, often with a very deep and meaningful thread running through it. This collection of songs nicely embraces the last decade of Keane (though they have been around for much longer than that). It includes the soaring anthemic melodies that we all know and love alongside some amazing B sides too. Anyone that questions the inclusion of songs such as Atlantic or Try Again simply don't know this band well enough or what those songs mean personally to the band members. They have indulged themselves by choosing hugely personal tracks that, in turn, mean so much to those that have been fans of the band since the beginning. Snowed Under and Fly to Me are super B sides and the acoustic DVD that comes with the deluxe version of this album comprises a set list voted for entirely by fans that gives us the opportunity to hear much loved songs (Black Burning Heart) that are very seldom played live. This album is a unique collection of songs so would thoroughly recommend the purchase. Marvin Gayes 1972er Album „You’re The Man“ erscheint erstmals Ende März!